Happy birthday, Winona Ryder! Our favorite '90s screen siren and style setter turns 45 today, and there's so much to celebrate. With her glorious turn in Stranger Things and our current obsession with everything '90s, Ryder and her enviable, effortless style is as relevant as ever. A mainstay of our sartorial dreams, Ryder has, both onscreen and off, consistently provided a fresh take on personal style that remains timeless no matter the decade. To commemorate Ryder's years of bringing us peerless fashion looks that never stop inspiring us, let's take a look back at her most stylish roles on the silver screen. It's no coincidence that Tim Burton's favorite muse celebrates her birthday on Halloween weekend, and a roundup of her biggest roles doubles as some serious inspiration for the spooky holiday. Scroll on to take a look back at the birthday girl Winona Ryder's most stylish roles. 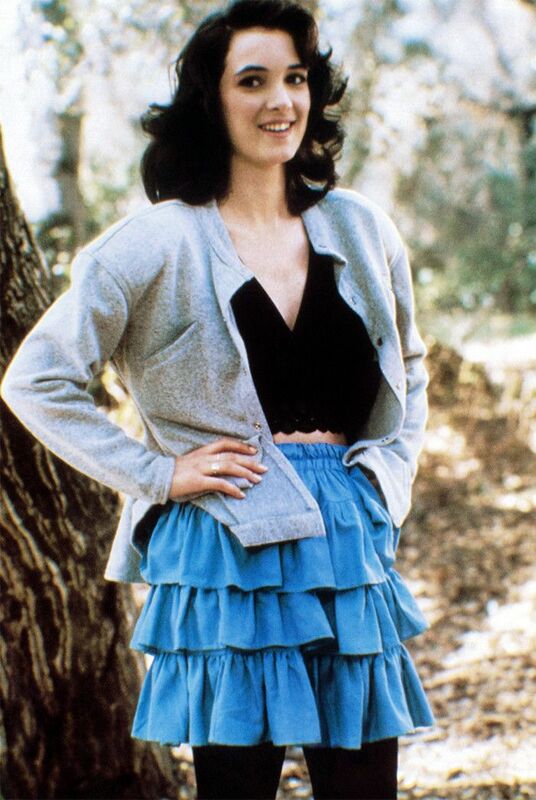 Eighties maximalism never looked as cool as when Ryder rocked her own moody take on Veronica Sawyer in this cult black comedy. Setting the standard for all goth girls thereafter, Ryder's role as Lydia Deetz remains just as iconic as it was with the release of the blockbuster hit. Ryder proved she could look just as good with long blond locks and bangs as Kim, the suburban high school princess. As school mistress–turned-vampire Mina, Ryder rules in darkly romantic period costumes. Basically establishing every '90s trend we're still obsessing over today, Ryder serves up a strong lineup of sartorial inspiration as a grunge girl who captures the truth about life after college. Ryder served as executive producer for the film in which she also stars as troubled gamine Susanna Kaysen. Ryder is perfection as a former prima ballerina being nasty to Natalie Portman (and defacing herself with a nail file) in this psychological thriller. Head to the comments to let us know which Winona Ryder role is your all-time favorite.